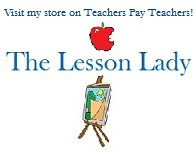 Teachers Pay Teachers is having a Cyber Monday sale in 3 days. Take a look now at the products that you'd like and plan to place your order on Monday. The deals never get better. You get 28% off of all of our merchandise. 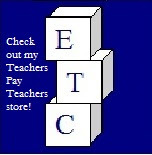 Click on the links to our stores to check out literacy and numeracy centers, holiday activities, art lessons, Spanish lessons and so much more. From there you can sift through the 1,000's of other products from sellers around the country. Stock up on your favorites November 26th to save, save, save!